Mozilla has made Firefox 4 available to download for Windows, Mac OS X and Linux. Mozilla released 12 betas of Firefox 4 and fixed more than 7,000 bugs before releasing the final version. The latest version includes security features, 'do not track' and 'content security policy'. Firefox Sync allows users to access history, bookmarks, open tabs and passwords across computers and mobile devices. 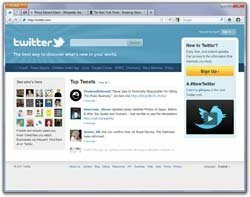 The 'app tab' feature permanently links to favourite sites, such as Twitter. Firefox also supports web technologies, including HTML5. Mozilla says Firefox 4 will be available on Android and Maemo devices soon. Read the technical release notes here.